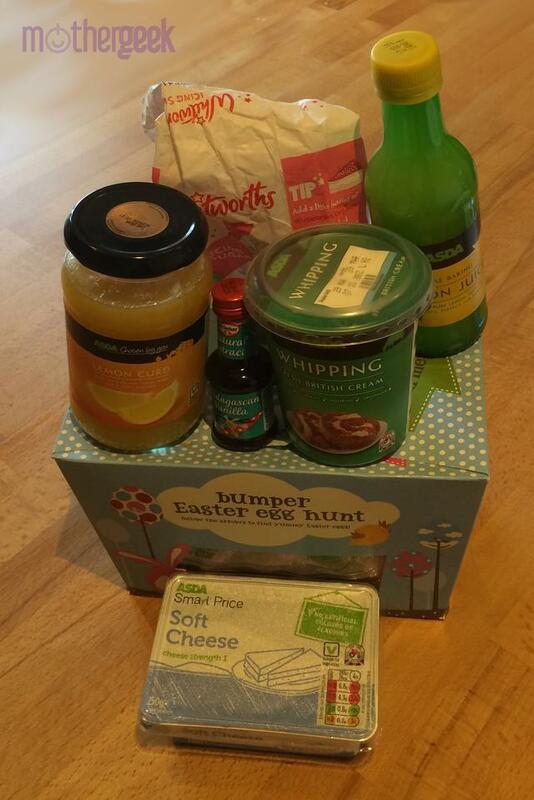 I have been drooling over several versions of this Cheesecake Filled Easter Eggs recipe for weeks, so when I saw the #collectivebias shop asking bloggers to go to Asda to buy ingredients for a fun recipe, I applied right away. After a crazy Saturday afternoon supermarket run, I had almost all the ingredients I needed to get to work! The Asda price guarantee saved me 10% compared to other supermarkets, but I did have to visit another supermarket for the Vanilla Essence as Asda had sold out. This is the recipe I used. It is a mixture of several others I found online. 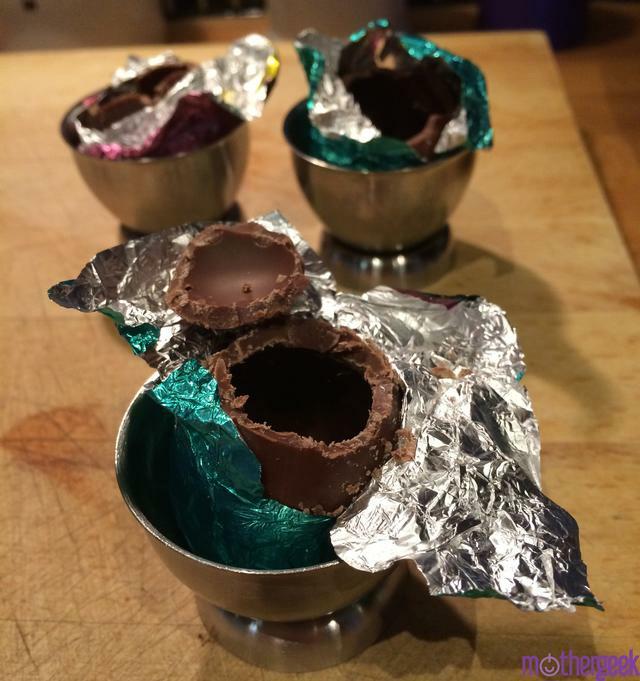 12 small, hollow chocolate eggs (The ones I used are similar size to Cadbury’s Creme Eggs). 150g (around 5oz) soft cheese (cream cheese). Personally, I find that basic soft cheese (cream cheese) works best in cheesecake as the flavour isn’t as strong. I opted for bottled lemon juice over a fresh lemon, because all the single lemons looked a bit past their best when I went to the supermarket! 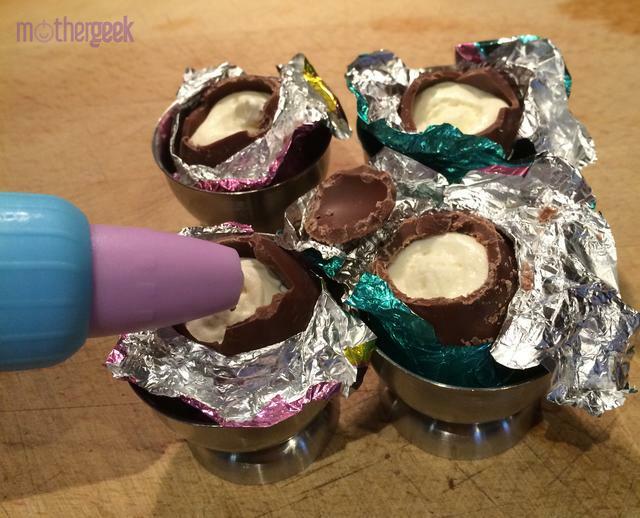 Leave the chocolate eggs at room temperature so they are easier to cut into later. 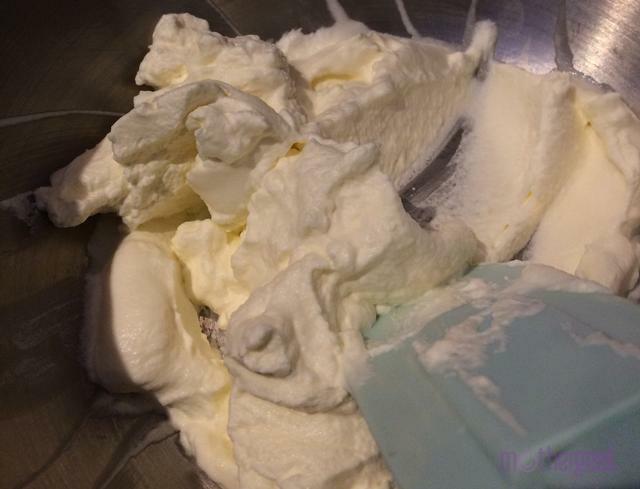 Place the soft cheese, icing sugar, vanilla and lemon juice into a large bowl, and beat until the mixture is soft and looks like the image below. (I tried using my stand mixer but there wasn’t enough ingredients for it to work effectively. It took me about 10 minuted to get it to the right consistency beating by hand, so it’ll probably be around 3-4 minutes with a hand mixer). 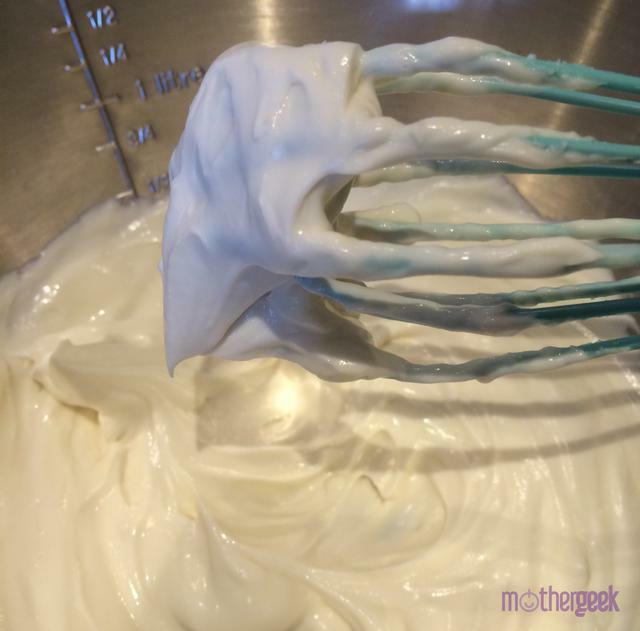 In a separate bowl, whip the cream until it forms stiff peaks, like the image below. (This took about 3 minutes in my stand mixer, using the balloon whisk attachment). Make sure you watch closely, as it’ll split if it’s whipped too much. 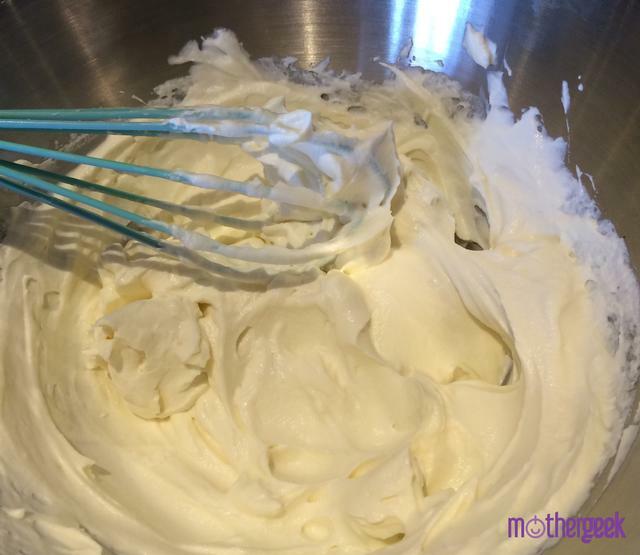 Add the whipped cream into the bowl containing the cream cheese mixture. Gently mix, until it is smooth, like the image below. Cover with cling film and refrigerate for a couple of hours. 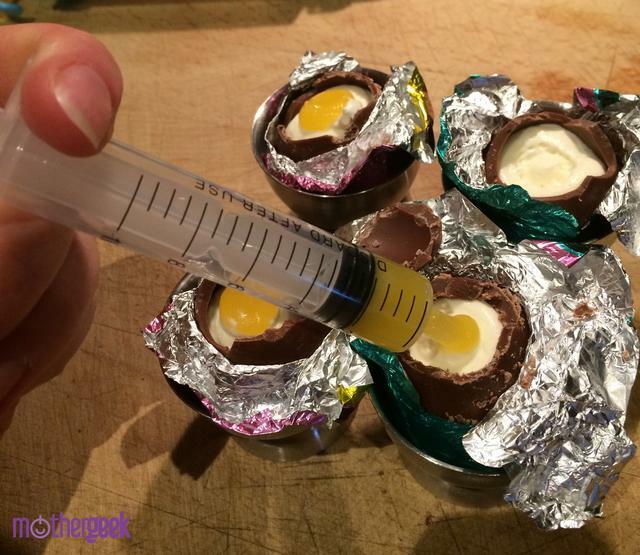 Carefully open the wrapper on the chocolate eggs. Using the steak knife, chop the top off each of them. (It took me a few goes before I got the hang of this)! Google tells me using a hot knife makes the job easier, and cleaner looking, but I kind of like the rustic look, as pictured below. 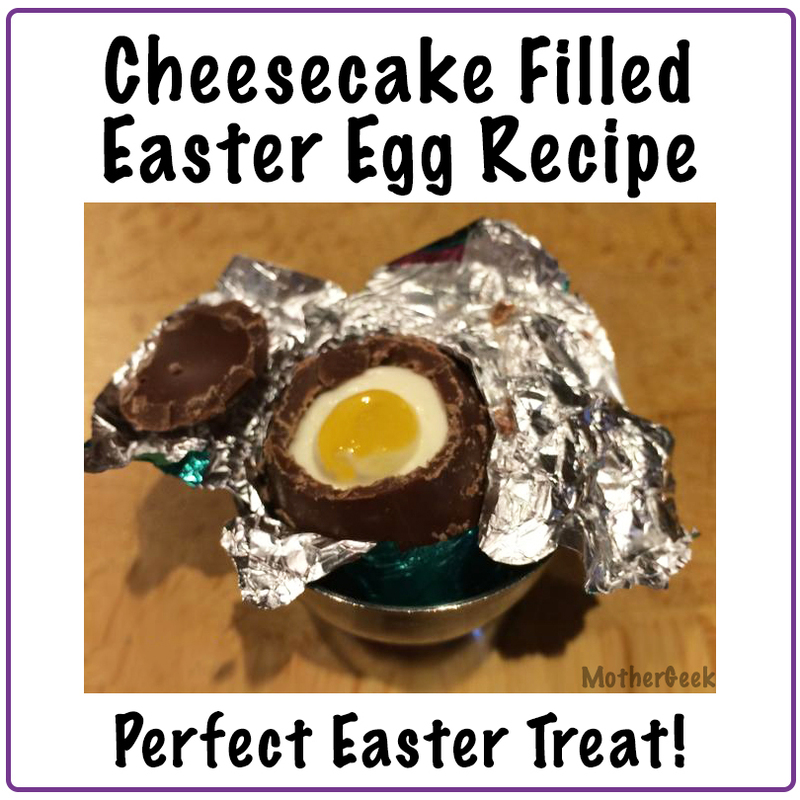 Fill up your piping bag with the cheesecake filling, and pipe it into each of the eggs. You can always use a spoon if you have a very steady hand! It should look like the image below when finished. Once the yolks have been added, the Lemon Cheesecake Easter Eggs are complete. Feel free to pop them back in the refrigerator if you prefer cold chocolate. I prefer them served at room temperature, though. the paper carefully enough, you can wrap them back up and store them in egg cups (or in an egg box) in the fridge. A few people who saw the image online suggested making bigger ones. In all honesty, I feel these are the perfect size. Any bigger, and they’d be a bit sickly. 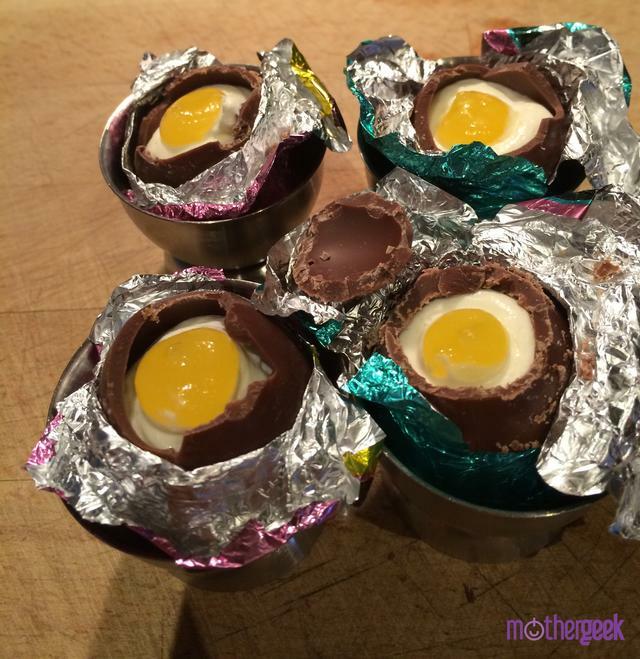 These Cheesecake Filled Easter Eggs went down well, and are a great way to use up those excess eggs left over from the Easter Egg Hunts on Easter Sunday! Do let me know if you make these, and how you find them! 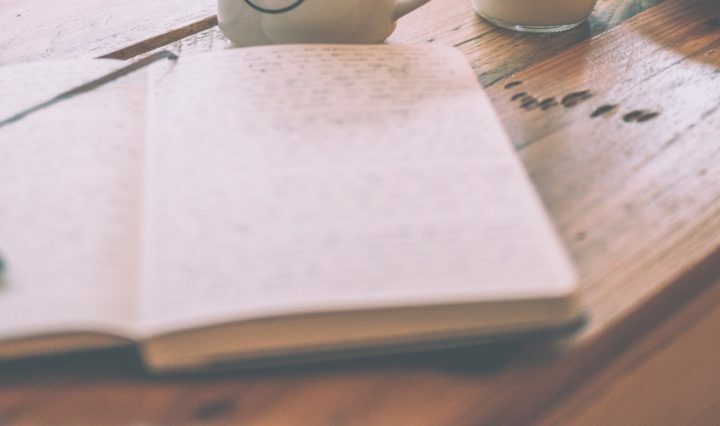 Finally, find more of my recipes here!